The town of Tamines is located east of the town of Charleroi on the N988. From the motorway E42/A15 which runs between Charleroi and Liège turn off at junction 14 onto the N98 direction Sambreville, Follow the N98 past the junction with the N90 and into the town of Tamines. Cross the railway and continue to the main road junction in the town, turn sharp right along Rue de la Passerelle and then bear left into Rue des Bacheres. 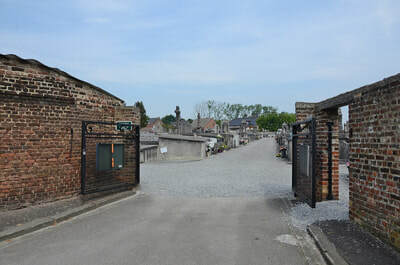 The cemetery is along here on the right. 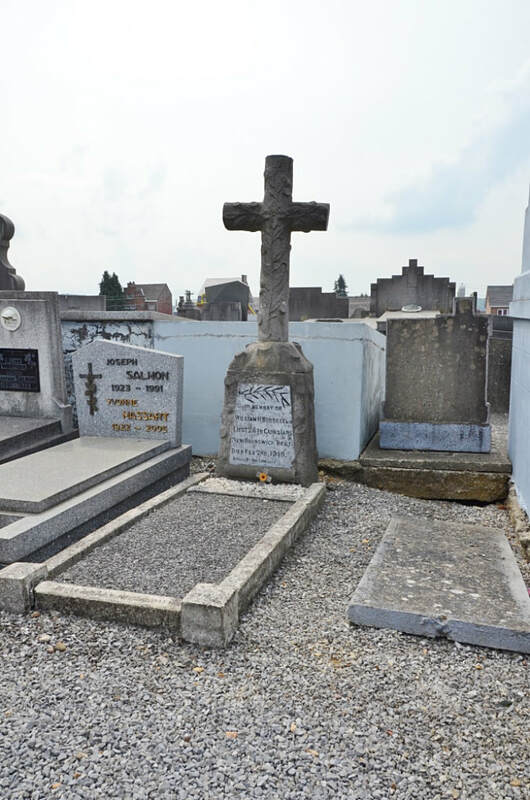 The grave is marked by a private family memorial in the form of a rustic cross on a block plinth. To locate the grave, walk through the entrance and follow the path straight ahead. 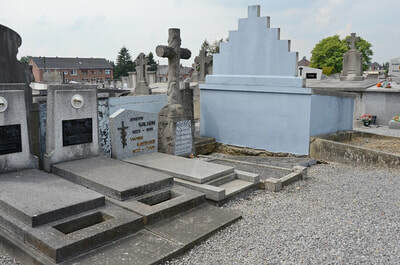 When about 10m before the rear boundary look to the left and the grave can be seen amongst a group of graves all facing the rear wall of the cemetery. Tamines Communal Cemetery contains one Commonwealth burial of the First World War. Lieutenant William Henry Buddell D. C. M., 26th Bn. 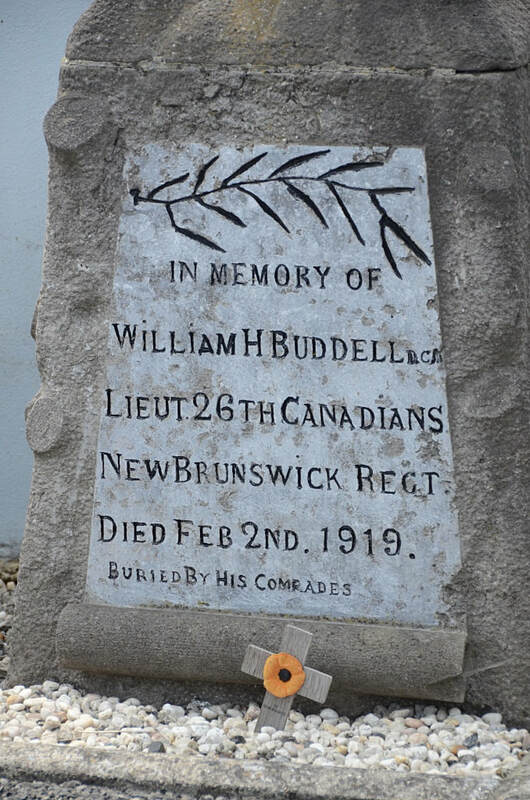 Canadian Infantry, died 2nd February 1919, aged 40. Son of William Henry and Elizabeth Ann Buddell, of 52, Garthorne Rd., Forest Hill, London, England.